I wrote this post back on January 5,2012 and for some Dumbass Reason, it has been one of the most popular posts of the last couple of years. As we celebrate two years of Dumbass News, this goes on the Dumbass' Choice List of Favorite Posts Since the Beginning of the Blog. 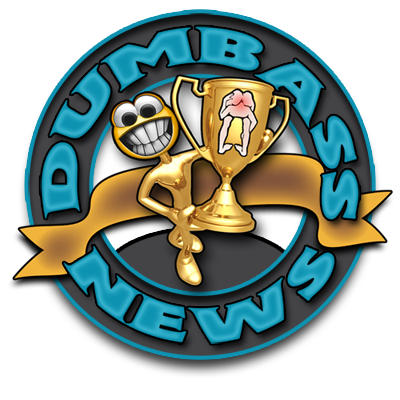 With big announcement of the 2011 Dumbass of the Year and the big threefer Dumbass of the Day post from yesterday, we have begun the new year with both barrels ablazin'. Kind of like our dumbass today, except that I am using "both barrels ablazin'" as a metaphor for getting off to a rousing start. Our Dumbass of the Day uses "both barrels ablazin'" in a very literal sense. Allow me to elucidate. There's a young lady, a teenager in fact, in Cheyenne, Wyoming who was visiting her local Starbucks so she could waste $5 on a cup of coffee that she could buy somewhere else for $1.29, when a very strange thing happened. Her purse went off. Not went off like it grew legs and ran away. Went off as in POW! Like a gun! Wanna know why it sounded like a gun? Because it was a gun! As much as I hate to say this about teenagers, this chick is a dumbass. She had an over and under (one barrel on top of another barrel) derringer in her purse and somehow the damn thing discharged. The bullet went through a chair and embedded itself in a wall on the other side of the coffee shop. This young lady is lucky that the bullet didn't go through another customer and embed itself in yet another bystander. The cops were summoned to the scene and were not exactly what one would call "amused". "Pissed" is more like it. They cited the dumbass with possession of a firearm by a juvenile which carries a $750 bond and an automatic (no gun pun intended) court appearance. If you've been stoopid enough to have read this blog for any length of time, you know that I am big Constitutionalist. If it's in the Constitution of the United States, leave it the hell alone! This is especially true of the Second Amendment, the one that gives Americans the right to keep and bear arms. There are many good reasons for this amendment being the second one right behind the Freedom of Speech thing, but those are for discussion on another day. Having said all that, with gun ownership comes great responsibility and this girl obviously left responsibility at home when she was packing heat in the first place, much less in a public establishment like Starbucks. As was done, she received the punishment due to her and still faces other charges. Maybe. It's up to the DA in Cheyenne. I don't normally cover subjects that are so serious, but even dumbasses, myself included, need a reminder of what it takes to be a good American Dumbass. This country has allowed us to be the finest dumbasses on the planet, so let's do our due diligence in showing our gratitude for such an opportunity. Remember, there are places on this Big Blue Marble that punish and demean dumbasses and gun owners but celebrate sissies and perverts. Like San Francisco. Pussies. As for our little Annie Oakley at Starbucks...quit packing a rod and tote some feminine hygiene products instead. You never know when you'll be in San Fran and one of the pussies there will need one. And start drinking decaf. You'll be much better off.